We take your questions on embracing elopements, listing ex's in an obituary, pouncing on mispronunciation and what to do when birthdays happen close together. 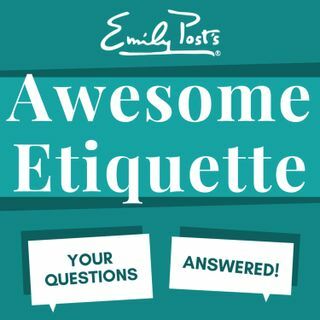 Plus your feedback, etiquette salute and a postscript segment on preparing kids for being houseguests. For sustaining members your extra question of the week is about handling an awkward request for money.